Dubonnet – the most iconic symbol of many sweet aromatised wines in France. This French advertising poster for the Art Deco period was designed with Dubonnet as the theme product. This poster was designed in 1932 and was designed by graphic designer A.M. Cassandre. Cassandre is one of the most well-known poster artists in the French art deco period. The style of this painting is the use of Cassandre’s most iconic triptych. Dubo, Dubon, Dubonnet is a word game. In French, it means: It’s nice, it’s good, it’s Dubonnet. This ad can still be seen in the streets of France. In this painting, the author deals with the color of characters, including text and background. His design makes the audience feel the same way. As the audience moves along the triptych from Dubo to Dubonnet, more and more colors are added to the characters on the way, until full color images are seen in the final scene. The overall tone of the characters in the painting becomes more and more warm after drinking, just like the feeling of a real increase in body temperature. 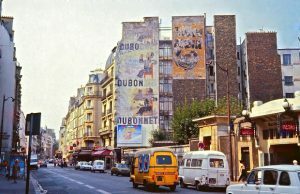 From Dubonet in the first painting to Dubonnet in the third painting, the author uses the gradient tone from cold to warm to do the treatment. After the figure’s character finishes drinking, his temperature starts to rise slowly. 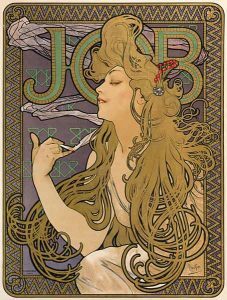 The expression of the visual arts is conveyed to the readers so that the reader can easily understand that this is an advertising poster about wine. 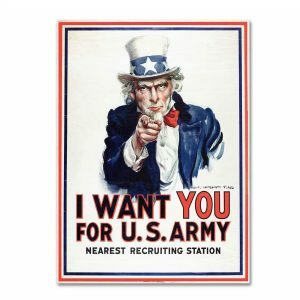 In this poster, Uncle Sam’s image was inspired by Alfred Ambrose Chew Leete (1882–1933) ‘s famous Lord Kitchener poster design on a version of the 1914 London Opinion magazine. In the original Alfred Leete painting, Lord Kitchener, with a serious look, also pointed his right index finger forward, his eyes looking directly into the audience as if with their eye contact, and the picture looked like Kitchener Lord stood in front of those British people and urged them to join the army. Later, the picture was adapted into one of Britain’s most famous recruitment posters. 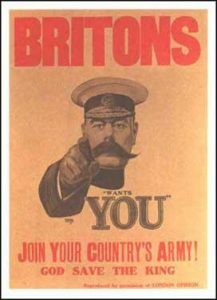 However, Both Lord Kitchener and Uncle Sam instantly became classics，and this concept has been imitated by various national armed forces one after another.